Remember the recent post I made on "No Push Email on BlackBerry 10"? Well, I posted a thread in CrackBerry Forum with the same title & created a bit of stir and many replied on explaining "Push Mail" is still supported in BlackBerry 10 devices and BIS aka BlackBerry Internet Service is still operational even if you run BlackBerry 10 devices. In fact, without paying additional fees to use BB10 will attract users from other platform to switch, using their existing data plans for BB Z10. Cut to the chase, BlackBerry PR here in Singapore somehow contacted me and sent me SWAG in appreciation to my support for BlackBerry. A notebook, coasters & a stainless steel bottle. A "Thank You" card from Zed Ngoh, BlackBerry PR agency in Singapore representative. 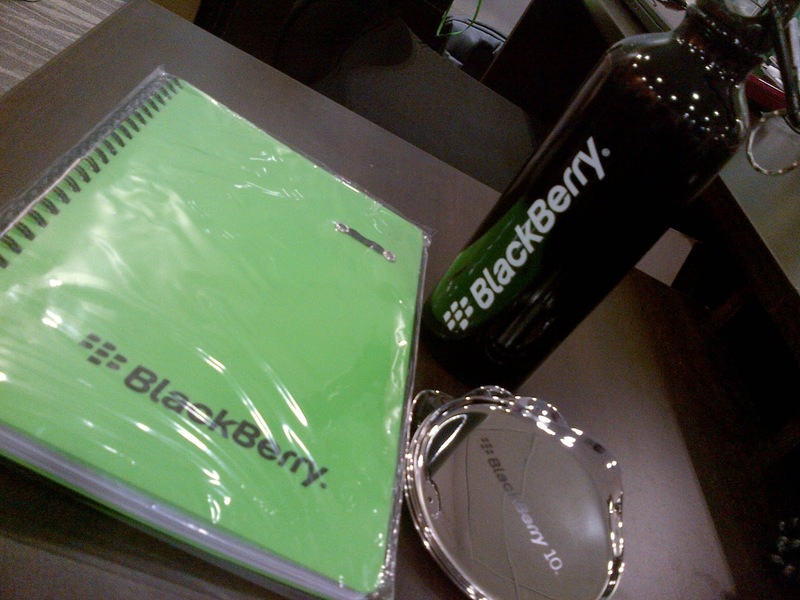 Thank you for your support towards BlackBerry, especially with the Straits Time article. I look forward to you getting your Z10!